-What behind-the-scenes politics touched off the turmoil in the Middle East? -What does Bible prophecy really have to say? -Can bitter enemies ever be reconciled? 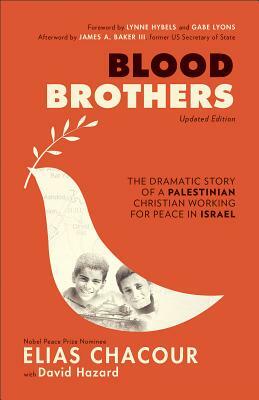 Now updated with commentary on the current state of the Israeli-Palestinian conflict, as well as a new foreword by Lynne Hybels and Gabe Lyons, this book offers hope and insight that can help each of us learn to live at peace in a world of tension and terror. Elias Chacour, a Melkite priest, is a graduate of the Seminaire du Saint Sulpice in Paris. He has built schools, libraries, community centers, and youth clubs throughout Israel's Galilee region, where he lives, as a source of reconciliation between Palestinians and Jews. David Hazard is the director of Ascent, an author, a publishing consultant, and a writing and creativity coach. For more information, see his website, www.itsyourlifebethere.com.